Real Training is a UK National College Teaching and Leadership (DfE) approved provider of this qualification. 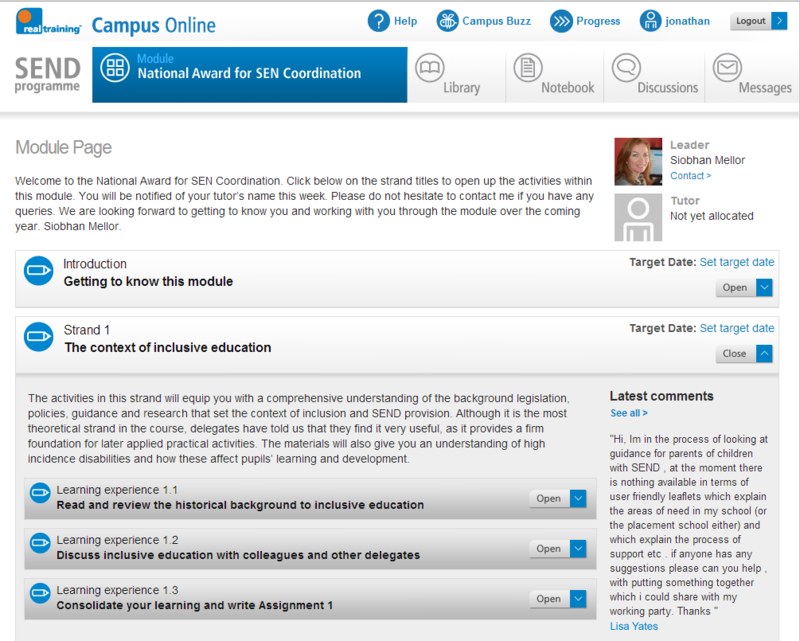 Since its introduction in 2009, the National Award for SEN Coordination has been the primary benchmark for driving up standards to deliver the Teaching Agency’s ambition of a consistent, high level of quality training in SEND. Mandatory for new-to-role SENCOs in England, the award is often mentioned as a requirement in job adverts by headteachers and governors keen to ensure their new SENCO knows the latest research, policy and guidance and has first-rate skills in applied SEND practice. The Real Training online course has been delivered to over 400 delegates who consistently rate the course as ‘excellent training with first class tutoring’. The practice-based learning is structured around carefully designed learning experiences that engage directly with the delegate’s own work in their professional context. The tasks focus on the systems for supporting pupils with SEND to help delegates consider the current systems and practices that have developed over time in the school. Practical tasks are supported by theory, reflection and example activities, to help delegates explore different aspects of their own and others’ practice, alongside information from research and evidence-based practice. The range of activities includes: video and multimedia content, case-study and problem-based scenarios, directed reading, structured learning logs, online discussion, online questionnaires, peer evaluation and webinars.